If you hear anything positive about public school systems these days, it probably includes the term “innovation” or a derivative thereof – districts of innovation, innovation labs, innovative schools, innovative practices, etc. Are innovative practices best practice? Once a practice has been deemed innovative, how long should that practice be identified as innovative? After reading Kristin Anthony and Tim Klapdor’s posts this morning, I wonder if it’s innovation that’s taking place or is it replication of the innovative acts of others. Does it matter? If kids are making the necessary gains, do we care whether or not it’s innovation or replication? Klapdor proposes that innovation requires change therefore time and retrospection is necessary to determine whether or not an act was innovative. In other words, you can’t just say you’re going to innovate; that determination is made later when the results are evident. If uniqueness, change and reflection are necessary components of innovation, is your district or school actually innovating practices and transforming the system? Can novel, inventive or creative actions within a traditional education model lead to deeper learning? If you read Dediu’s post and some of the accompanying comments (so many I couldn’t read them all! ), you’ll see that several folks disagree with his take on innovation. Whether you agree or not, perhaps the focus should be on answering questions like these. Why does innovation matter in public schools? How will defining innovation lead to better school systems? What steps can schools take to design actions that have the potential to be innovative – new, unique and a way to sustain necessary change? How can we keep the focus on creating intentional, well-designed learning experiences instead of feeding a societal desire for something NEW? What do these ideas on innovation mean for P-12 educators? I was almost convinced that this discussion/debate was not relevant until I read Dr. Max McKeown’s post on innovation and determined that some key elements he mentions will support guidance on this subject. Based on my knowledge and experience as an educator coupled with the information outlined in this post, I believe the following might be useful during planning and implementation phases. Of course, I haven’t created a comprehensive guide to planning for innovation by any stretch of the imagination here, but this process might help start (or continue) a conversation and dialogue with your colleagues about innovation and system transformation. Define Innovation: What is innovation in P-12 education? Establish Need: Why do we need to innovate? 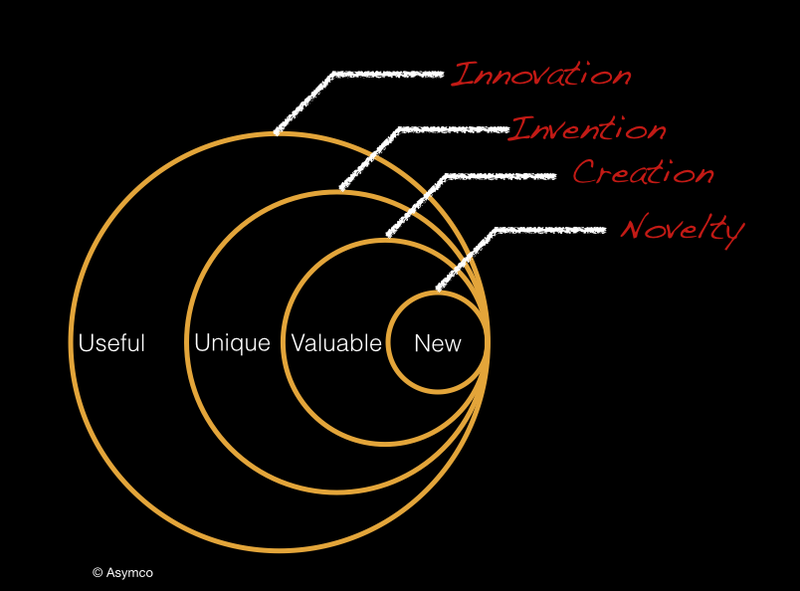 Create a Vision: How will we innovate? Choose an Innovative Focus: Which area(s) do we need to focus on based on the evaluation of our need? Process Innovation – new ways of doing something in the areas of instructional practices, professional learning, etc. Organizational Innovation – new ways of people working together in the areas of teacher and leader collaboration within and across districts, professional development, etc. Measure Progress: How effective is the innovation? Adjust: When will we make adjustments and changes if we see that our actions aren’t producing the results we anticipated at the rate we need? Iterate: How often will we measure progress and make adjustments throughout the school year? How often will we cycle back to step 1? After examining these ideas for some time today, I believe that the semantics of the term “innovation” matters little to the work of systems change for P-12 public schools. It doesn’t matter whether or not your school’s innovation efforts are categorically innovative as long as academic outcomes are improving at the right pace and kids are happy, socially successful and safe. Whether your efforts are innovative, inventive, creative or merely novel doesn’t really matter as much as designing a system that engages your kids in a meaningful, productive, thought-provoking and empathy-centered curriculum.